Trump said he has decided against imposing new large-scale sanctions on North Korea in a confusing tweet that seemed to imply. 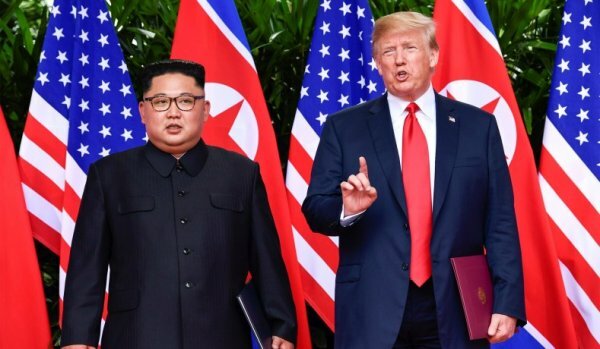 The confusion began when Trump said on Twitter that he had “ordered the withdrawal” of “additional large-scale sanctions” on North Korea that had been “announced today by the US Treasury.” But there were no new US sanctions on North Korea announced on Friday, leading news organizations, lawmakers and experts to believe Trump was referring to the Treasury’s blacklisting on Thursday of two Chinese shipping companies that it said helped North Korea evade sanctions over its nuclear weapons programme. "TRUMP LIKES CHAIRMAN KIM AND BE HE DOESN'T THINK THESE SANCTIONS WILL BE NECESSARY"
The Trump administration did not respond to queries to explain what Trump meant in his tweet for more than five hours. Shortly after Trump’s tweet, White House spokeswoman Sarah Sanders explained it by saying: “Trump likes Chairman Kim and he doesn’t think these sanctions will be necessary.” But she did not specify which sanctions Trump spoke of. The administration source, speaking on condition of anonymity, said Trump’s tweet had nothing to do with the Thursday sanctions but rather was meant to refer to a decision to not go forward with additional large-scale sanctions on North Korea at this time. There has been no sign of direct contact between Washington and Pyongyang since the collapse of the Feb. 27-28 summit, though Trump has stressed his good personal relationship with Kim and his administration has said repeatedly it is willing to reengage. North Korea has warned it is considering suspending talks and may rethink a freeze on missile and nuclear tests, in place since 2017, unless Washington makes concessions. 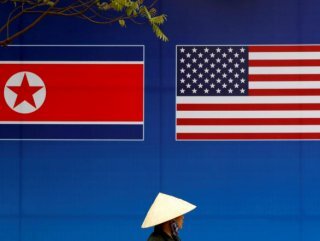 Hours after Thursday’s sanctions announcement, North Korea on Friday pulled out of a liaison office with South Korea, a major setback for Seoul, which has pushed hard for engagement between Washington and Pyongyang. 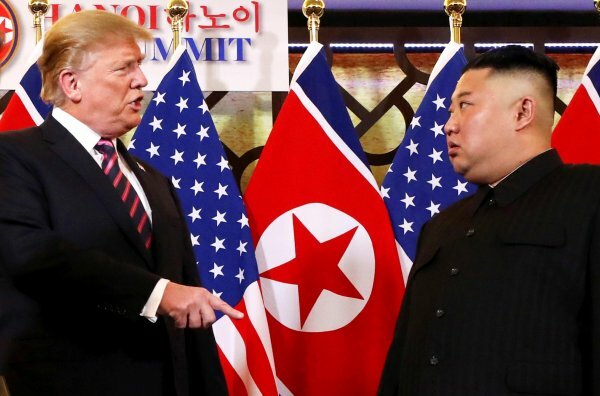 Harry Kazianis of the conservative Center for the National Interest thinks tank said Trump’s tweet could be an effort to defuse tensions that seemed to be building between Washington and Pyongyang and the risk of North Korea pulling out of talks. “Trump’s canceling out of sanctions might have been a bid to get North Korea to change its thinking,” he said. 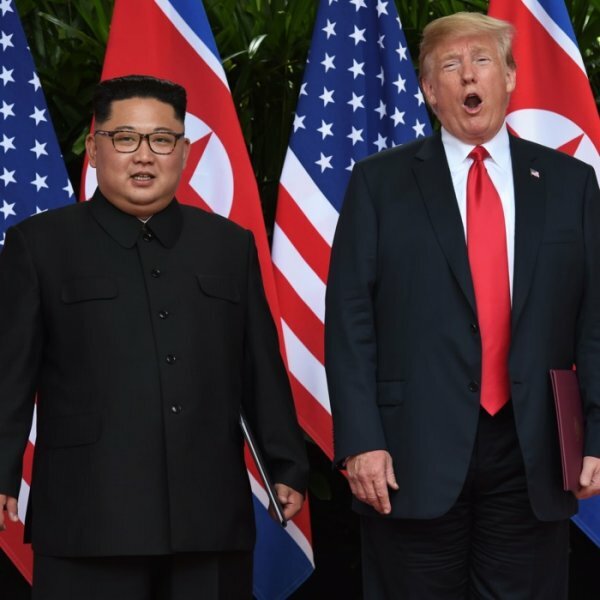 Another North Korea expert, Bruce Klingner, said that while Thursday’s Treasury action was limited, an accompanying notice seemed to hint of stronger future actions. Klingner said Trump’s move signaled that his “maximum pressure” sanctions campaign on North Korea was not going to get any stronger and recalled an announcement the president made before a first summit with Kim in June last year when he said he was putting a large list of planned sanctions on hold.